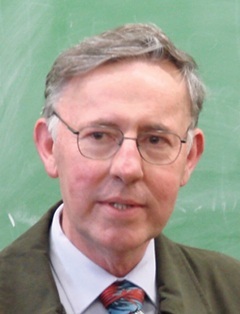 Professor Street has played a central part in the development of category theory and of its applications to diverse areas of mathematics. Many of the most important notions and results on enriched categories, two-categories, and bicategories, are due to him; and he has developed them with a completeness and a masterly elegance that greatly facilitate their use in particular problems of mathematics. He himself has applied these ideas to obtain important results in homological algebra, universal algebra, topos theory; non-abelian cohomology, homotopy theory, combinatorics, and computer science; while many further applications have been made by colleagues throughout the world, among whom his work has achieved great renown.